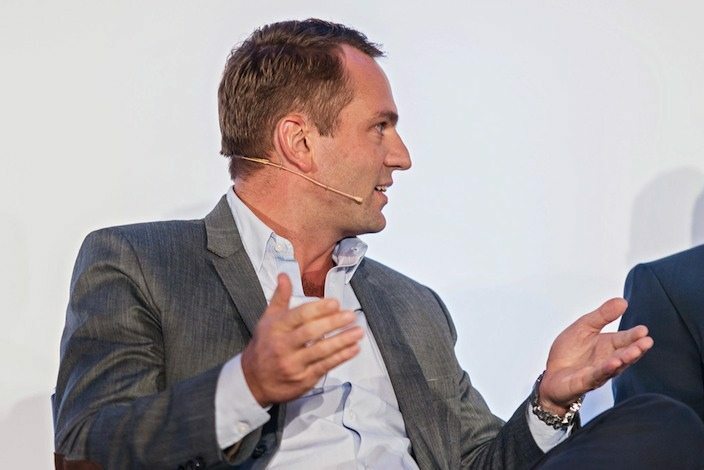 Glice® Co-founder Viktor Meier presents Glice® premium synthetic ice with sensor technology at the podium “vier gewinnt” in Switzerland. According to the Swiss newspaper Jungfrauzeitung it is a technological masterpiece. When you are planning to buy a synthetic ice rink, you have a certain goal in mind. Either you want to play or practice as realistically on your new synthetic ice rink. Or you want that yourself or your customers just have a lot of fun skating on your artificial ice skating rink. 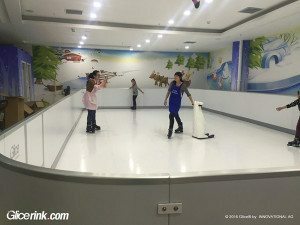 Since there are a lot of questionable synthetic ice products out there in the market, you want to know what makes the best synthetic ice rink different? What are the quality attributes of the No. 1 synthetic ice? If you have time to read, then we recommend you to read the Synthetic ice rink buyer’s guide. 1.) The best synthetic ice has the lowest friction-coefficient. That results in the No. 1 synthetic ice having a high gliding factor meaning that you don’t feel a drag and can skate almost weightless as you experience on well prepared conventional ice. Be careful that all synthetic ice rink companies claim that they have the “best gliding degree”. The only way you can find out is talking with Professional athletes who have tried that product and last but not least, that you go try yourself that product. Grip is key in many skating and hockey manoeuvres. Having the right amount of grip on your plastic ice sheets is key for a most realistic experience. Some products have too much grip. Other plastic ice sheet products have too little. Feeling the seams is a nightmare for an ice skater. It adds drag to the skating and potentially can cause accidents. The best synthetic ice rink connection systems are locked both horizontally and vertically. Only a solid tongue and groove synthetic ice panel connection system can assure a flush surface. Any synthetic ice is producing abrasion, however the question is how much. The best synthetic ice product produces very little shavings. Plastic ice shavings and flakes are a hazardous, they make your facility a mess, there will be many shavings lying around your rink. Worse, the artificial ice abrasions and flakes will stick to the clothes of the skaters and the Hockey Mums will hate bringing their kids their because of the hazzle of cleaning the cloth afterwards. A top synthetic ice product has significantly less shavings than most of the synthetic ice rink products in the market. Most synthetic ice products have considerable friction which makes the skate blades being used very quickly and so need much more sharpening. The consequence: You have to hire additional staff to make the increased sharpening process and often skaters have to be pulled out of the rink to resharpen in the midst of a skating sessions. Pro athletes will hate your synthetic ice because it damages their precious skate blades. A top synthetic ice however can be skated on for many hours before you have to sharpen again. With the best synthetic ice product you guarantee top skating experience and lowered maintenance costs. There are many more attributes which influence the quality of a top plastic ice product. We have concentrated here what is the quality of the synthetic ice surface. The quality and appearance of the dasher boards, the comfort of the skates and durability of the skate blade, the efficiency of the cleaning and sharpening machine etc. are many more attributes which influence the quality of a synthetic ice product. 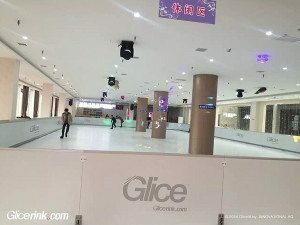 You can learn more about the Glice® technology here When buying your synthetic ice rink you will invest a considerable amount of money and therefore need to be well informed. Don’t hesitate to contact one of our Glice® Experts to get personalised consulting for your plastic ice rink project.